Week of November 24, 2017 | 1-2-3 SPORTS! I know, I know. It’s a story as old as professional sports. But this one was especially egregious, and I’d never heard it before. Really, it’s kind of amazing. Bill Wirtz was the longtime owner of the Chicago Blackhawks. Wirtz was especially cheap. We all know of the NFL’s old blackout policy – NFL games were blacked out on TVs in the home team’s home market if the game was not a sellout by a few days before the game. The thinking was this would encourage fans to go to games. (The NFL scrapped this policy a couple of years back, likely when they realized TV money is more lucrative than fans in seats). But Wirtz, for decades, took it a step further. He didn’t allow local fans to watch ANY home game on TV, even if it was a sellout. His thinking was it created some exclusivity for ticket holders – the only way to see Blackhawks games was to actually go to the game. This is an unfathomably bad business idea, but that was Wirtz. In 1992, the Blackhawks were really good. Balfour. Roenick. Chelios. They ended up making a run to the Stanley Cup Finals. In the leadup to the playoffs, the Hawks were a hot ticket. Wirtz had a brilliant idea for the playoffs: Pay Per View. He called it HAWKVISION. For the low, low price of $16.95 per game, Chicago fans could finally watch their team’s home games from the comfort of their own home. I looked it up, and the team played 9 home games that playoffs. To watch them all at home, you’d have to pay $152.55 – adjusted for inflation, that is $270 today. Could you imagine paying that much to watch, say, the Warriors home playoff games on TV? And if that wasn’t bad enough, he brought it back for the following season, this time charging $29.99 per month, an inflation adjusted $53 today. Per month! To watch the home games for ONE team. HawkVision did not return after the 1994 lockout, but Wirtz’ tv policy did. Chicago fans could not watch the team’s home games on TV until 2007, when Wirtz died. 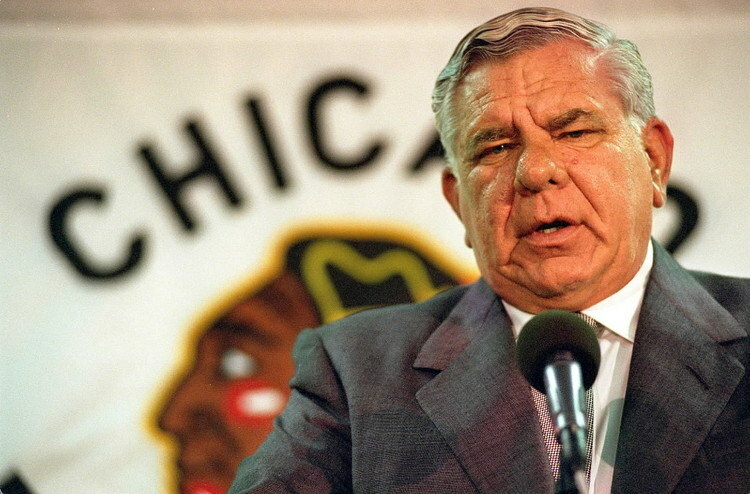 Needless to say, the fans hated Wirtz, and booed the team’s attempt to eulogize Wirtz. 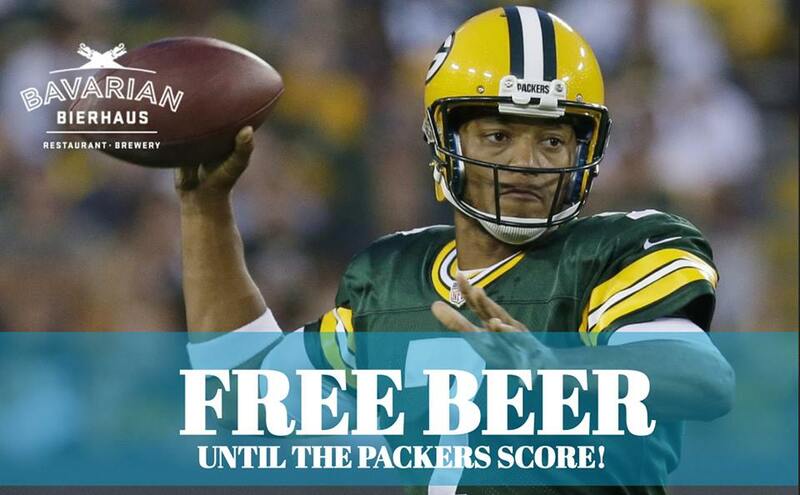 It was such a nice idea: The Bavarian Bierhaus, a Wisconsin bar, has long offered free beers to all patrons from the moment the Packers game begins until the moment the Packers first score. With Aaron Rodgers at quarterback, that’s usually been pretty quick. The Packers usually score on their first or second drive. The promotion gets people in the door, and then they stay for the game. It’s a nice way for the Bierhaus to differentiate itself from other area bars. But last Sunday, it backfired. Aaron Rodgers broke his collarbone a few weeks back and he’s been replaced by Brett Hundley. There are the first ballot Hall-of-Famers. There are the multiple Super Bowl champs. There are those with Hall of Fame careers as players and as coaches or front office personnel. These are exclusive clubs within pro football, but perhaps the most exclusive club of them all is that of players who appeared in exactly one NFL game. These men are, as Ben Shpigel puts it, “Football versions of Moonlight Grahams”. He profiles six members of this club for his article, and it’s a pretty fascinating read. Some, as you could guess, played only one game because of injury. Some finally made it into the game, only to have a change in management, which doesn’t bode well for the guys right on the edge. Some made the best of their opportunity, and some live with the regret of what they did with the moment. Some hold onto excuses, while others look back to that game as proof they made it to the summit. It’s really interesting to learn how each of the guys view that game in the context of their respective lives. Mark Reed has been an engineer at 3M for 30+ years. He made his one and only appearance in an NFL game as quarterback for the Baltimore Colts. He completed 6 of 10 passes for 34 yards and an interception. He likes to tell his co-workers that he had a career 60% completion rate. It’s not that these guys were on a team for only one game. In most cases, they spent multiple seasons on various NFL teams’ practice squads waiting for their moment. Martin Nance’s moment came on 12/31/06. He started for the Vikings, had 4 receptions, and made a good impression on the team going into the off-season. That year, the team drafted bulked up on receivers and tight ends in the draft. With new investments at Nance’s position, it came as no surprise he was cut. He reunited with Roethlisberger in Pittsburgh and waited for his next chance for over 2 years while on the practice squad. 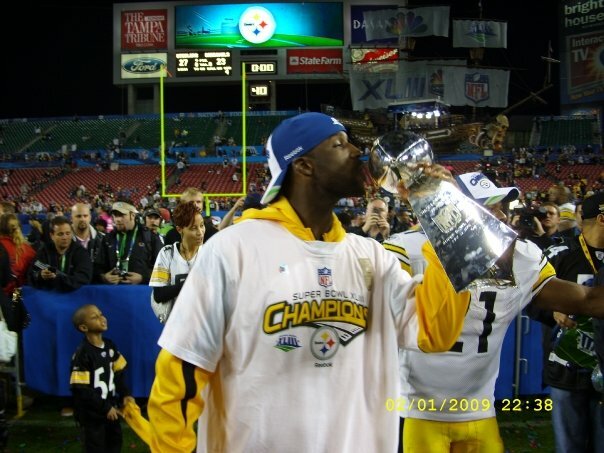 When star receiver Hines Ward was injured going into the 2009 Super Bowl, Nance was prepared to make it back onto the field on the biggest of stages. Ward ended up playing, and while Nance wears his Super Bowl ring with pride, he could see his time as a player was up. Shortly thereafter, he went to graduate school at University of Michigan, snagged an internship at Gatorade, and has had a successful career in marketing ever since. He considers himself lucky to have left the game in relatively good health. The best Georgia Dome implosion video. My resolution? Meet a loose woman.